Transcripts, scheduling, diplomas: you make it happen, we will keep the records. The Office of the Registrar is dedicated to providing service to the Cedar Crest College community. Services include creating, maintaining and transmitting academic records in accordance with the Family Educational Rights and Privacy Act of 1974 (FERPA), scheduling rooms, classes, students and final examinations, evaluating transfer credit, auditing degree progress and completion, coordinating Veteran's benefits, and issuing academic transcripts and diplomas. The Registrar is a member of AACRAO, The American Association of Collegiate Registrars and Admissions Officers. For more information, visit www.aacrao.org. Please contact the Registrar’s Office with any questions about coordinating VA benefits. 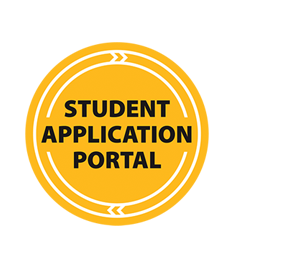 The Registrar's Office evaluates a student's general education requirements, including total credits required, grade point average, and graduation honors information. To request a graduation audit, please submit your name and ID number to the Registrar's Office. The audit will be sent to you by mail. *Please note: For information regarding your departmental major requirements and courses please contact your advisor. There may be some delivery delays at the beginning and end of the semester and around holidays. Please allow extra time for delivery. If you pay by check, make the check payable to Cedar Crest College. If you are paying by credit card, we accept Visa or Master Card. We need the credit card account number, expiration date, and 3-digit CVC number (found on back of card) included on your request, or you may call with this information. Transcripts will be denied to any student with outstanding financial obligations to Cedar Crest College.